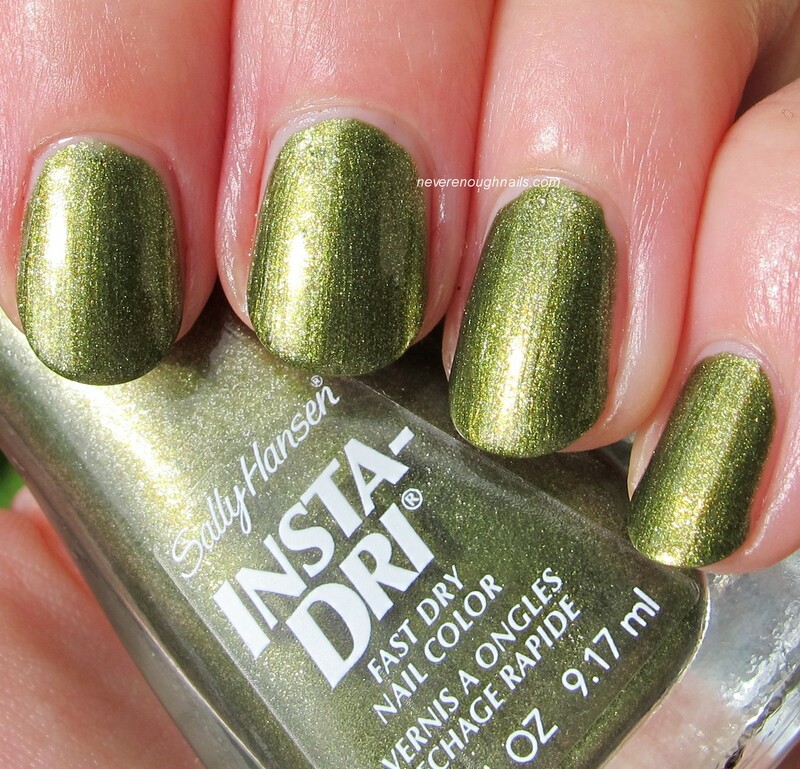 I just can't resist a weird green polish, especially when it's limited edition and in a formula that I have loved previously. 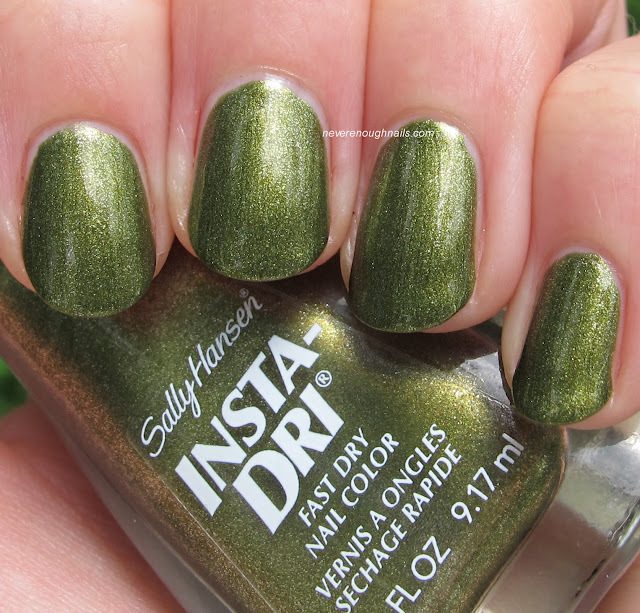 I quite enjoy my collection of Sally Hansen Insta Dri polishes, and my newest addition No S-pear Time, is no exception. No S-pear Time is part of the Sally Hansen and Rent the Runway collection, so it was in a special display and I believe it is limited edition. It's a beautiful highly shimmered golden olive. 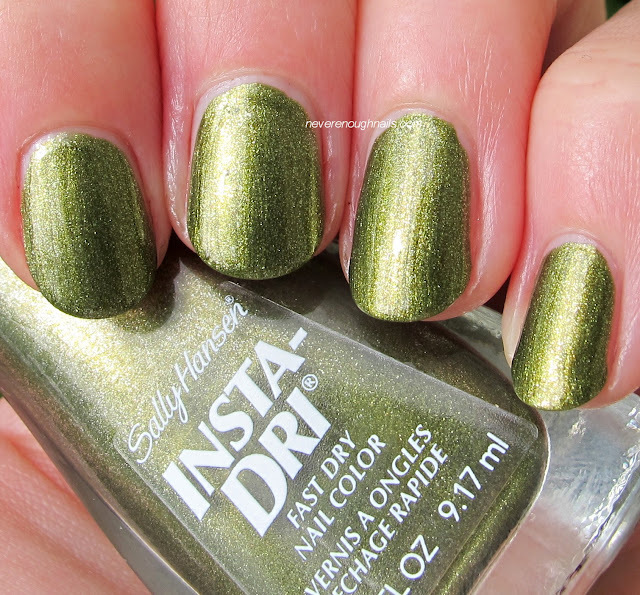 This kind of green really screams fall to me, I love it! No S-pear Time was easy to apply and opaque in two coats. It's pretty shiny alone, but I topped it with Essie Good to Go to enhance the shimmer. I don't mind the Insta Dri brush at all, but I know some people can't stand it. It's very wide, curved, and flat. I don't have huge nail beds, but I never seem to have a problem with this brush. No S-pear Time is available now in a drugstore near you. I found mine at Walgreens, but I also saw it at CVS.